We'll go ahead and apologize in advance to your wallet. 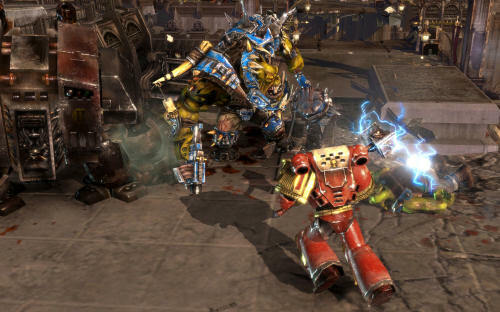 Critically acclaimed win-tacular co-op RTS meets RPG fantasy in outer space hybrid Warhammer 40,000: Dawn of War II is on sale this weekend on Steam and Direct2Drive. For the low, low price of $24.99, you can own one of teh top PC releases of the year so far. The latest patch for the game, ominously named "There is Only War", has also just been released. Most of the additions are fixes to multiplayer, but they're still worth a look. I know I myself have been waiting for this one for quite a while. Now there's no excuse not to grab a buddy and get your space ork on. As soon as you're done joining us for Xbox Live Co-Op night, featuring the new Gears of War 2 DLC that is!